It's been WAY too many months since I did any sort of bike riding. 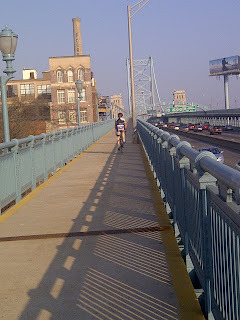 No commuting to work these days via a bicycle, it's the PATCO High Speedline for me. I'm spending $2.60 a pop to get to work. I hate it. 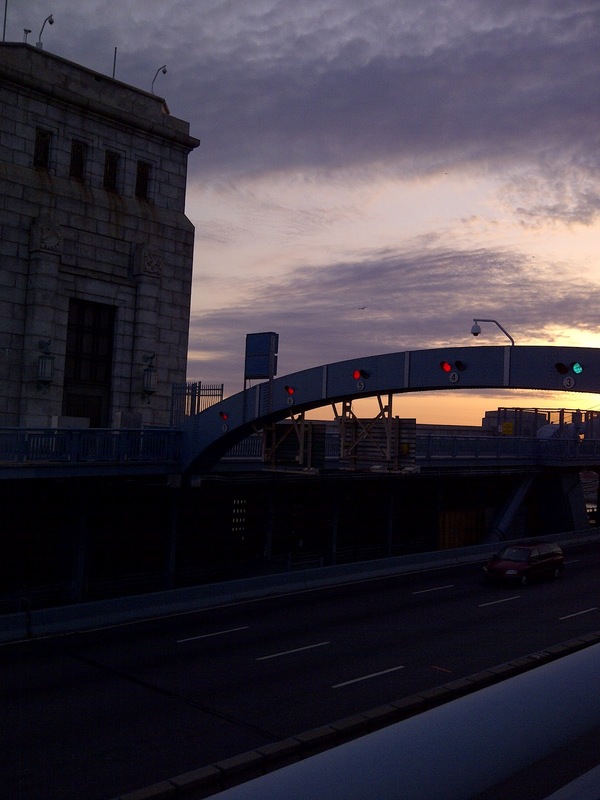 Well, I hate not riding and spending over $5 a day to commute, on top of the higher taxes I pay to the State of NJ and the City of Philadelphia Wage taxes. Added to that is my lack of exercise. After all these months of not riding and complaining I decided it was time to change my attitude. It may be months before I buy a bike that's a junker that I feel comfortable leaving locked at the train station without fear of it being stolen, or upset if it were to be swiped. I'm not sure I'll ever get a folding bike at a price I can afford so I'm making do with the bikes I have. So far I've ridden home three times since we moved to New Jersey, twice in one week so far too! I've taken the bikes on the train too and it seems to work out just fine. It's only a 6.5 mile commute from my office in Center City to my house. 6 miles! I couldn't believe how short of a distance it is from Collingswood to Center City's Rittenhouse Square. Riding over the Ben Franklin bridge is only a 1/2 mile up the bridge, 3/4 of a mile down. Aside from the not so nice ride through Camden, most of the ride is pleasant. It takes me about 45 minutes which I hope will become shorter once I get my legs and lungs back in shape. I save money, get some exercise and have a moment to clear my mind. I've missed biking and it's showing on my body and soul. 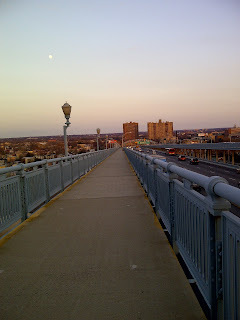 I was reading a post on The Bike Rider's Blog, and she commutes from Queens to Manhattan, over the Queens Borough Bridge. After reading her post and seeing that other cyclists are lamenting the high we get via riding, I thought I had to do something too. Not surprisingly, by not riding 4 miles a day, 5 days a week, I've put on weight. So with my pants not fitting, my body going to pot and my emotional state of body and soul suffering, any amount of biking had to be re-integrated into my commuting routine. I also feel as though I'm missing out on photo opportunities. Armed with my road bike and my camera, I'm discovering many new images along my route to and from our house. I hope my body will get back to some pre-New Jersey weight too. Sears Roebuck and Co Retail Store, along Admiral Wilson Blvd. Wonder what the inside of the building looks like? The PUB Restaurant - all meals include the famous Caesar Salad & Relish Bar! It's not the most scenic ride home, in fact, some of it is quite scary and dangerous. 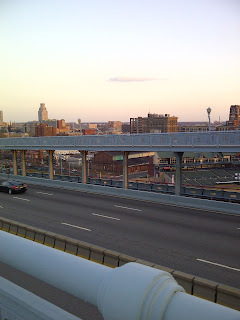 I ride through down-town Camden, past Rutger's campus then I get onto a stretch of highway to ride on the sidewalk for a two miles until I reach route 30 East. 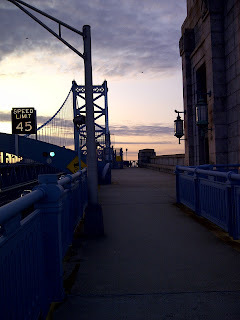 The hardest part of the ride is up and over the Ben Franklin Bridge. It's not a ride I'd do when it's dark, so this will be a spring/summer trip during day light hours only. The traffic is too crazy and close to the part of the road/sidewalk where I have to ride for a mile or so on my journey. 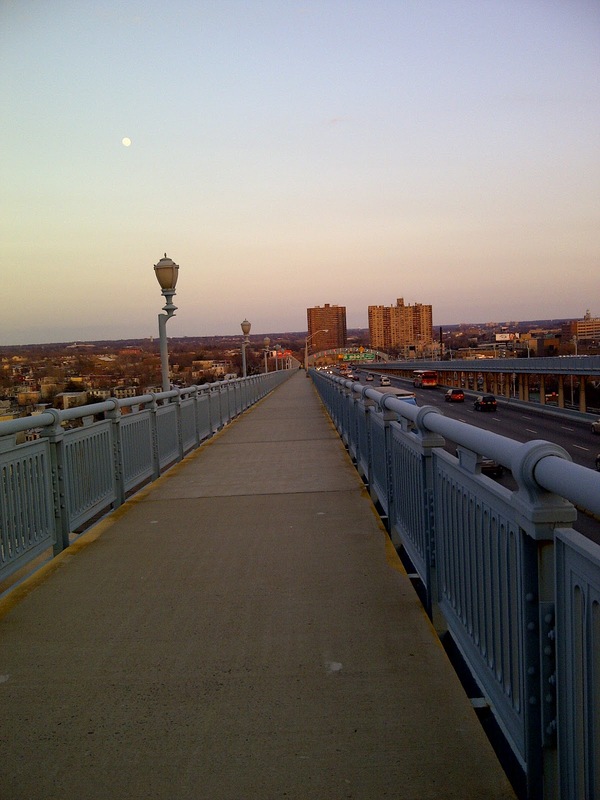 All in all, it's a preferable route than riding through the heart of Camden along Haddon Avenue. Not that I want to talk trash about the hardships of Camden, New Jersey, but it's not exactly a hospitable environment for anyone, let alone an odd-ball 45 year old white woman on a bike, loaded down with a backpack full of stuff. I like that I can take my bike on the High Speedline, making my commute far easier and allowing me to have my wheels when I need them in the City. I don't miss living in Philadelphia but I have missed my easy bike rides. 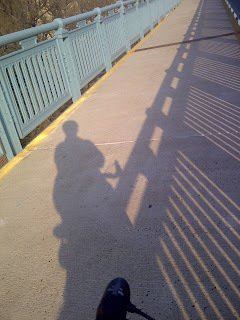 Taking my bike with me to work makes me feel connected to a part of who I am and keeps me sane.